The eTeam development team was assembled in Sydney beginning in the late 1980’s to develop 4GL database software and client server tools. The software was developed and marketed internationally through a VAR network to thousands of corporations and hundreds of thousands of end users including companies such as IBM, William Hill, Advanced Data Processing (ADP) and The British Natural History Museum. The team stayed together through various mergers and acquisitions continuing to develop and maintain the software on behalf of IBM until 2005.
eTeam has a technical staff of people that have been together for on average 25 -30 years. As such the team is extremely skilled and experienced with over 200 years of combined software experience with knowledge across all modern environments and languages. In 2000, the team became one of the founders of eWise,Systems – the world’s leading supplier of account aggregation software. 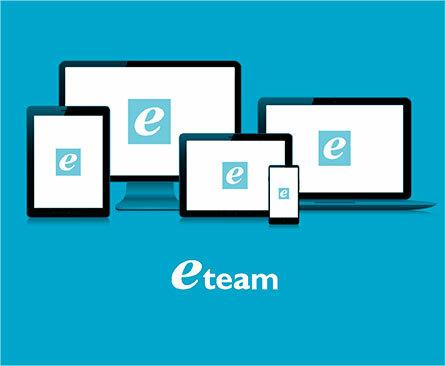 eTeam invented, designed, developed and patented (on behalf of eWise), what became known as Client side or User driven account aggregation. This technology has now been live for over 12 years in major institutions worldwide including Westpac Bank in Australia and firstdirect (HSBC) in the UK and there are millions of end users of the software. From 2003 eTeam members have created an online payments solution that later was implemented in Australia, New Zealand and South Africa as Poli (by a licensee company – Centricom). A derivative of the technology was later rolled out in the United States on behalf of NACHA (the National Association of Clearing House Associations) – the custodian of the largest payment network in the United States (ACH) which counts all the US financial institutions as its members. eTeam continues to invent, develop and support innovative leading edge software on behalf of clients across multiple platforms and technologies. eWise continues to rely on eTeam to provide all the knowhow and technology related to the Account Aggregation technology and to implement and support the software for major banks on behalf of eWise. eTeam has also partnered with W Financial/Mogoplus to conceptualise, architect, design and produce the initial Mogoplus financial product suite based on a combination of the Mogoplus founder’s financial industry expertise together with eTeam’s “know how”, creative technical ability, expertise and experience. As the inventors and developers of the eWise technology, eTeam’s knowhow and experience position them perfectly to create and develop new Mogoplus intellectual property.